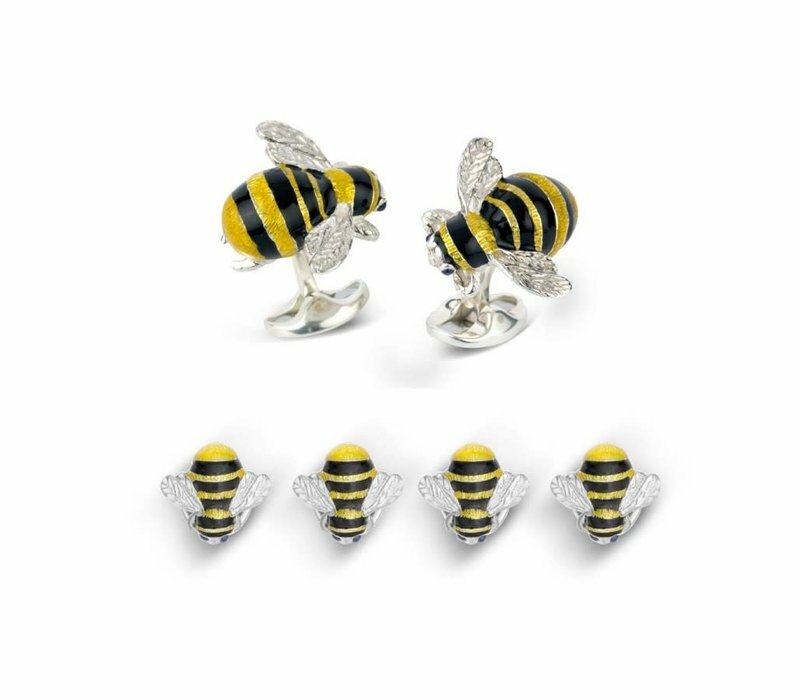 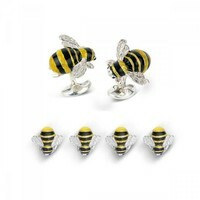 This set of four, sterling silver bumblebee cufflinks are sure to create a buzz! Attractively hand-enamelled in vibrant black and yellow detailing these are the perfect countryside accessorie. 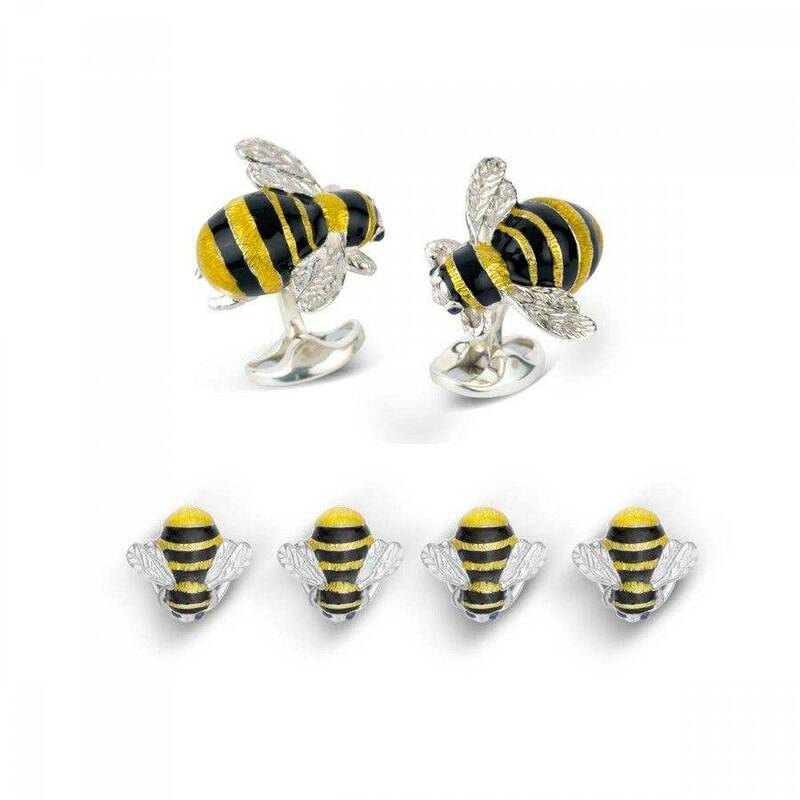 Compliment these dress studs with the Bumblebee cufflinks (Available Separately). 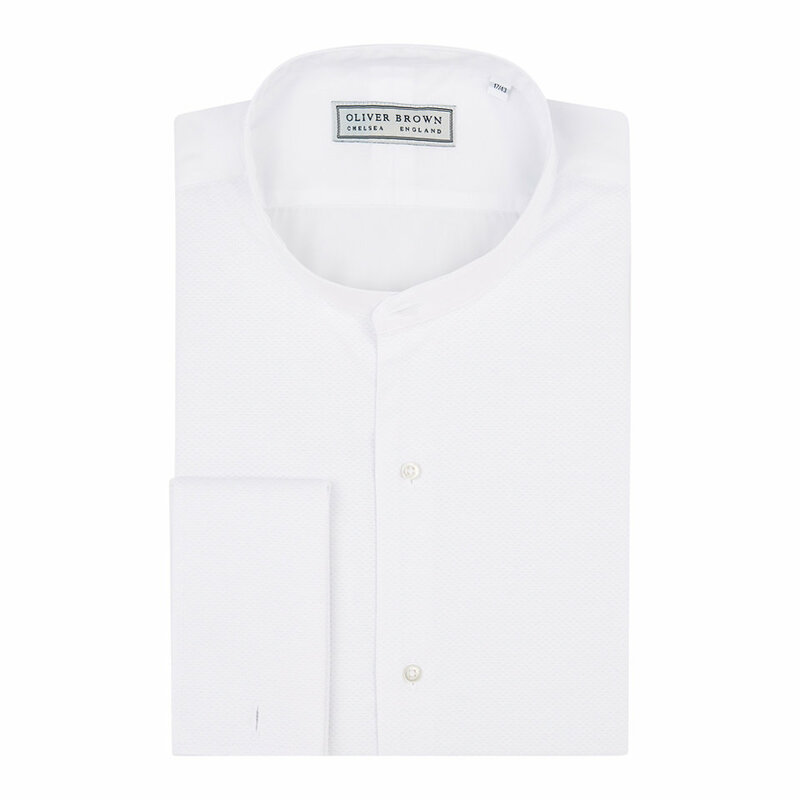 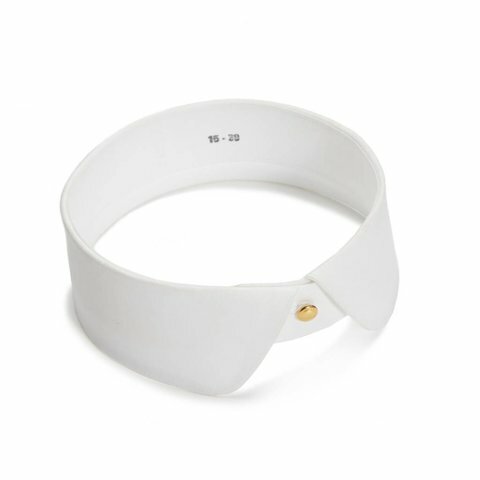 Works with all dress shirts.